Happy New Year to all of our friends and clients! Kindness can start as simply as one person extending a favor or kind word to another person, which can then spread to others, creating a ripple of kindness. It is in this spirit that we created our 2017 holiday promotion. 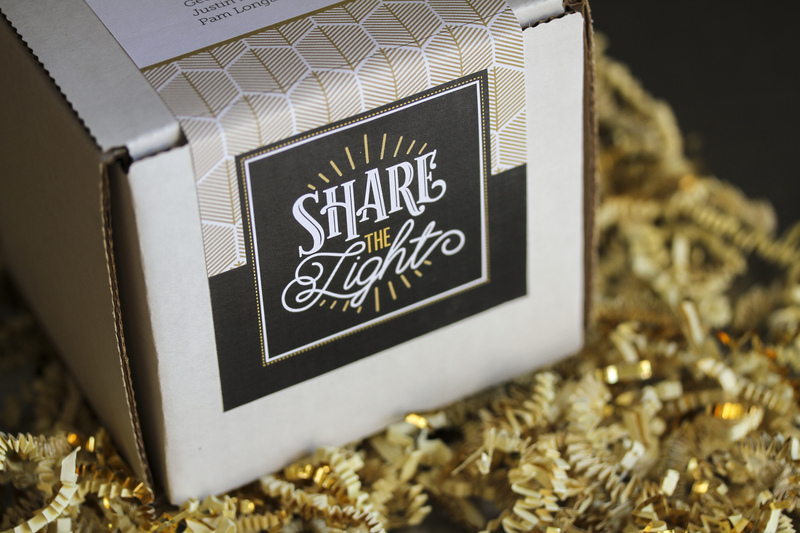 Inspired by our clients who are committed to serving the greater good and making the world a better place, our new holiday promotion – “Share the Light” – focuses on the spirit of kindness and how we each have the power to profoundly influence someone else with a single act. With this in mind, we created a gift that focuses on the transformative nature of kindness. 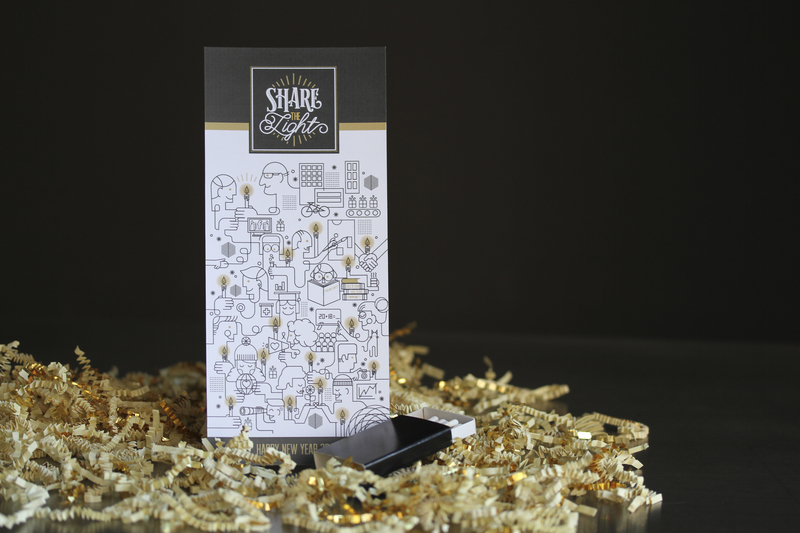 A branded promotional package, including messaging and imagery, that was sent to partners and friends. 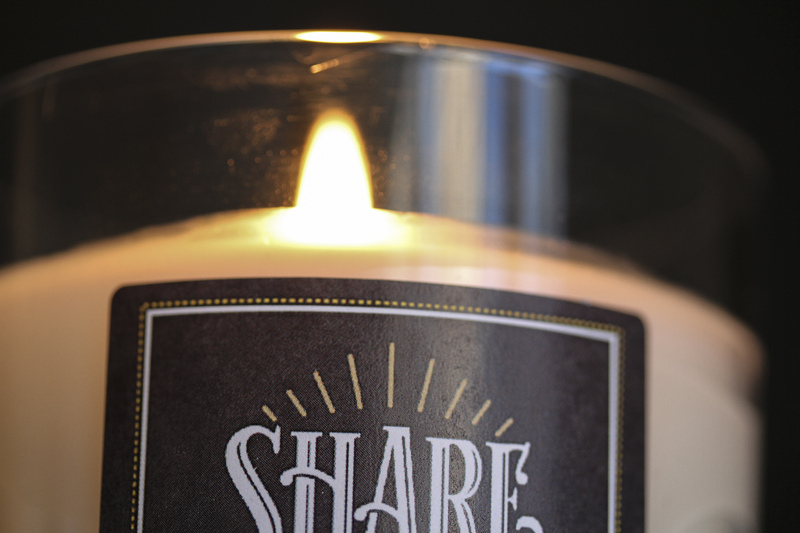 A custom-blended candle, with scents of lavender, pine, and champagne, was created to ignite feelings of creativity, joy, and hope for the new year. And a motion graphics video that encourages viewers to spread joy each day. 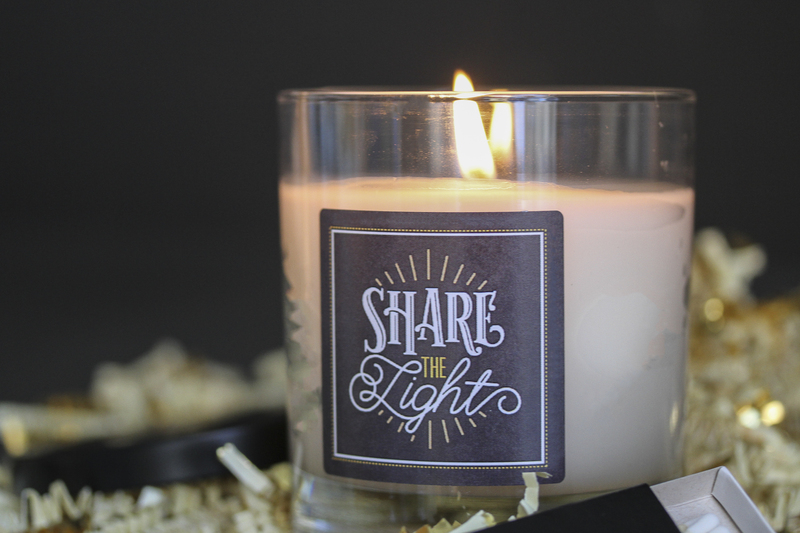 The responses we received to the gift were overwhelmingly positive and many of our clients and friends have placed their candle on their desks as a simple reminder of the importance of kindness. 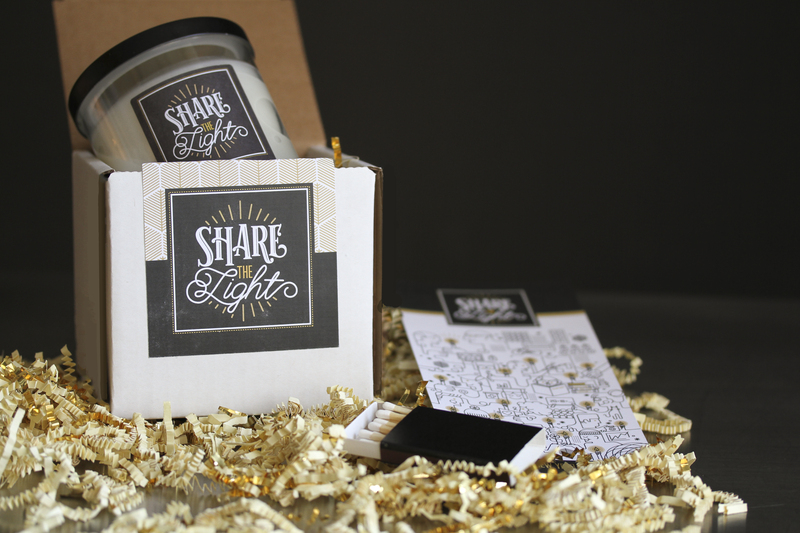 So how will you burn brighter this year and share your light?